The Los Alamos Mountaineers are pleased to welcome Rich Carlson for an evening of canyoneering and technical expertise. Rich will give a general introduction to canyoneering, what it is and the basic skills and tools required to navigate canyons safely. He will then focus on a recent canyoning trip to Nepal which will show you the hidden treasures that canyoneering unlocks for adventurers, and why more and more people are getting hooked on canyoneering every year. The Los Alamos Mountaineers are pleased to welcome Kelly Gallagher and Don Krier for an exciting evening of mountaineering in Ecuador. 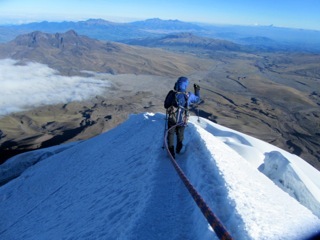 Kelly and Don recently returned from Cotopaxi, Ecuador. Kelly and Don will talk about the acclimatization efforts and rewards, ice training, and share a bit of Ecuadorian travelog from the Indian markets to the hapless but tasty cuy. This will be an exciting night for all! 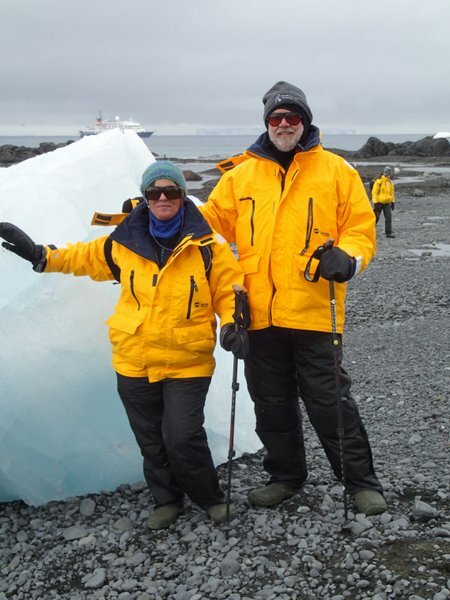 Please join the Los Alamos Mountaineers for an evening with Bill Priedhorsky and Melissa Bartlett as they share their unique perspectives, as mountaineer and artist, of Antarctica, the 7th continent. 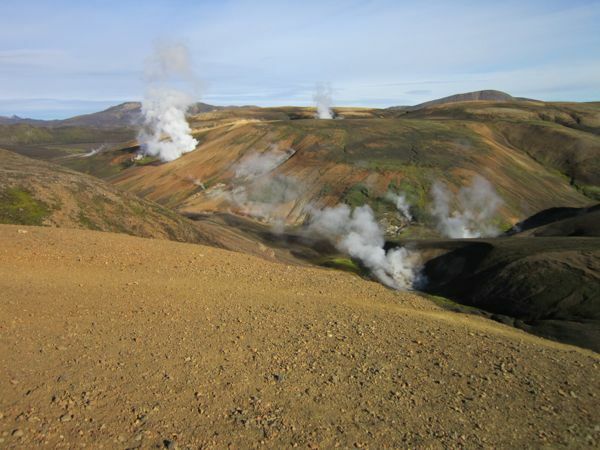 Come learn about the natural history of Iceland as Mario Schillaci recounts his 6 day, 50 mile trek across Iceland. Mario tells a story of adventure travel—complete with mountain huts, a steady ascent from sea level along fast-flowing rivers to spectacular waterfalls, passing between glaciers to descend into wooded valleys with unusual rock formations, and finally fording rivers in a surreal landscape shaped by volcanoes. Potpourri for the Soul – and the Belly! The December meeting of the Los Alamos Mountaineers features a potpourri of food and fantastically short but fascinating presentations. Read more about Potpourri for the Soul – and the Belly! Author Valerie Mendenhall Cohen will read from her book about her mother, Ruth Dyar Mendenhall – Woman on the Rocks: The Mountaineering Letters of Ruth Dyar Mendenhall (book introduction by Royal Robbins: Spotted Dog Press, 2007). Each year the Mountaineers have a safety-oriented meeting. These can be fun, or they can be boring. To make this year's program FUN, we are holding a dinner meeting at Pajarito Mountain on September 25 - the FOURTH Wednesday of September. Note the change of TIME and PLACE. The Los Alamos Mountaineers traveled to Zion National Park for a canyoneering adventure, July 11-16. The trip was led and organized by Dan Creveling. 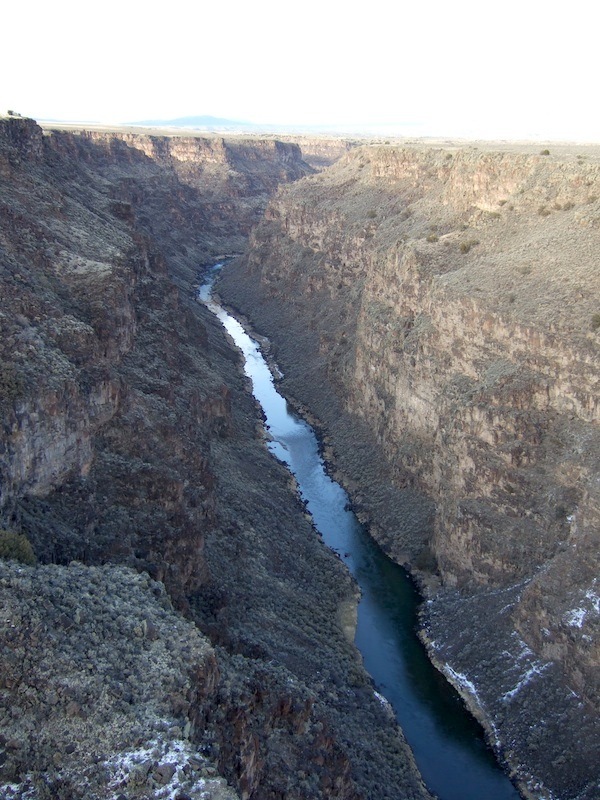 More than two dozen people participated, dividing into smaller parties to explore a wide variety of canyons (Pine Creek, Birch Hollow, Subway, Echo, Keyhole, Behunin). The days were long and strenuous, leaving the participants tired but excited. Contrary to previous announcement, meeting will start at 7:30 PM as has been the case. This may be the last meeting on the old schedule.